-Litigation -Business Transactions and Business Organizations -Personal Injury and Insurance Defense; -Property & Energy Law; -Probate Law; and -Alternative Dispute Resolution including Arbitration For more information about our services, visit the practice areas. The attorneys at Kent, Anderson & Bush, P.C. have worked together for many years. In exchange for the trust and faith clients place in them, the firm's attorneys commit themselves to the highest standard of performance in solving legal problems and resolving conflicts. Our attorneys have handled trial and appellate matters in state and federal courts across Texas and have been involved in some of the most important cases decided in their areas of practice. Whether the client's objective is to keep a lawsuit from being filed, reduce exposure to the threat of liability, or defend any type of complex litigation, our experienced lawyers have the skills and expertise to see the matter through to a favorable resolution. We place a high value on our clients' reputations and maintain the highest degree of client confidentiality while working to protect their interests. Whether the case involves a claim made against you or your client, a doctor facing a medical malpractice claim, an injured party, or a business needing corporate or commercial advice, contact the legal team at Kent, Anderson & Bush, P.C. for a free consultation regarding how the firm can find a solution. With nearly 150 years of combined legal experience in North, Central and East Texas, the trial attorneys at Kent, Anderson & Bush, P.C. have the knowledge, skills, and abilities to obtain favorable settlements. When a person is injured due to the negligence or wrongful conduct of another, the law allows the injured party to be compensated for the damages caused by the negligent party. Obtaining that recovery is not always a simple matter, however, and often requires litigation in court, at which the injured party is required to prove all the facts of the case, including the defendant's fault in causing the accident, as well as the nature and extent of the injuries and their economic value or cost. Obtaining a successful result requires superior skills in the areas of negotiations and courtroom advocacy. Our firm handles a wide variety of personal injury matters, including: -Products Liability -Toxic Torts -Oilfield Injuries -Construction Site Accidents -Premises Liability/ Slip and Fall Dangerous Occupations The East Texas Oil Field is a boon to the Texas and national economy, but with its rewards come risks. Oil drilling can be dangerous work, and the ever-present hazards of collapsing derricks, decks and rigging, explosions, and gushers and blowouts, carry the threat of serious personal injury or wrongful death that may be attributed to a careless co-worker, lax employer, or negligent third party. Truck traffic in and out of the area can be especially dense, increasing the likelihood of a serious or deadly collision between an automobile and a much larger and heavier 18-wheeler. Liability Insurance Still Inadequate As of January 2011, Texas law requires motorists to carry liability insurance or proof of financial responsibility that will cover $30,000 for bodily injury to one person, $60,000 for multiple injuries in an accident, and $30,000 for property damage. This is an increase over the previous 25/50/25 liability law. If you are involved in any type of serious automobile accident, these minimum amounts may not begin to compensate you fully. And despite the existence of the law, a shocking number of people drive without carrying any liability insurance at all. Policy limits notwithstanding, most insurance companies and adjustors operate with the mindset of paying as little on a claim as possible, or denying benefits altogether if they can. Obtaining a full and fair recovery for your property damage, medical bills, lost wages, and pain and suffering most often requires the assistance of a skilled and experienced trial lawyer who has handled cases similar to your own. A Record of Success Recovering for its Clients The firm has a record of success in achieving significant verdicts and settlements for its clients. In September 2010, lawyers for the firm secured a $7 million judgment in a wrongful death lawsuit brought by the mother of a ten-year old boy who was mauled to death by a pair of bulldogs in the Rusk County community of Leverett's Chapel. This jury verdict is thought to be the largest ever in this type of case involving a child being killed by dogs. Don Kent has more than 34 years experience defending multi-million dollar products liability, toxic tort, business and medical liability claims against individuals and companies in state and federal courts. Don is Board Certified in Personal Injury Trial Law by the Texas Board of Legal Specialization, is an "AV" rated attorney with Martindale Hubbell, and is a charter fellow of Litigation Counsel of America. -Represented doctor in defense of medical malpractice claims involving claims of failure to timely diagnose resulting in multiple amputations caused by meningococcemia meningitis in minor child. Jury trial in Dallas -County televised live on Court TV with plaintiff seeking $20 million in damages. Jury returned a zero verdict of no liability. -Represented insulation contractor in defending toxic tort claims by plaintiff with confirmed mesothelioma who alleged exposure to asbestos sought damages in excess of a million dollars. Jury trial in Harris County resulted in a zero verdict for defense. -Represented psychiatrist in defending claims alleging failure to provide proper follow-up care resulting in suicide. Case tried in Smith County which returned a zero verdict of no liability. -Represented an oral surgeon in defending claims of wrongful death following surgery to repair a broken jaw on a 50 year old female patient. Jury trial in the U.S. District Court for the Northern District of Texas result in a zero verdict for the defense. -Represented ophthalmologist accused of medical negligence in performing cataract surgery. Following jury trial in Smith County, jury returned a defense verdict of no liability. 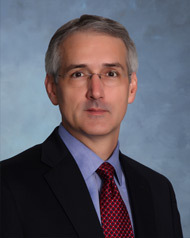 Billy D. Anderson has more than 20 years experience litigating and representing clients in a broad range of disputes. His practice has been primarily devoted to general litigation, insurance defense, toxic torts, professional liability, oil and gas, and eminent domain. He has jury trial experience in state and federal courts and before state administrative agencies in the areas of contract claims, toxic torts, and commercial and business torts, including the Deceptive Trade Practices Act, premises liability, and general negligence. 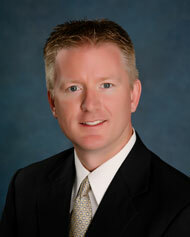 Mr. Anderson has represented numerous real estate agents and home inspectors against claims made by homeowners. Additionally, Mr. Anderson has represented governmental entities, gas utilities and common carriers in the planning, construction, and eminent domain phases of pipeline and highway projects. -Represented oil and gas operators in Rusk County, Texas against Lessor in title dispute arising out of the interpretation of granting and reservation language of 1948 and 1962 deeds. Obtained declaratory judgment in favor of clients. -Represented Lessor in Wood County, Texas against fraud claim and a declaratory judgment action filed by prior Lessee on issue of lease termination. Obtained judgment on behalf of Lessor. -Represented seller of oil and gas properties through clearinghouse oil and gas asset auction against claims made in Upshur County, Texas by purchaser and subsequent purchasers. Obtained Agreed Judgment of no liability or damages. -Represented Real Estate Agent in DTPA claim filed by purchaser in Henderson County, Texas. Obtained dismissal. -Represented investor in fraud and breach of contract claim against homebuilder in Smith County. Obtained judgment in favor of investor. -Represented seller of multiple commercial properties on breach of contract claim filed by purchasers. Obtained settlement retaining all properties and paid $0 in damages. Obtained settlement funds from third-party defendant. -Represented naval, electrical and automotive equipment manufacturers in asbestos cases in State District and Multi-District Litigation courts. Represented Doctor in medical malpractice wrongful death claim filed in Anderson County, Texas. Obtained a jury verdict of $0 damages. -Represented driver of vehicle in which trailer came unhooked and struck vehicle head on against claims filed in Angelina County, Texas. Obtained defense verdict from jury. -Represented Van Zandt County, TX against claims that a county vehicle ran another motorist off the road causing personal injury. Obtained defense verdict from jury. -Represented pipeline company during planning, acquisition, and eminent domain phases of project from Mount Belview, Texas to Longview, Texas. -Represented county during eminent domain phase of construction of highway loop. David J. Bush is an AV rated lawyer with more than 20 years experience in litigation and arbitration as well as business transactions and business organizations. 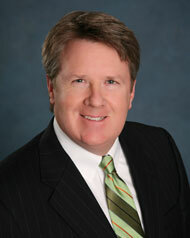 He has represented clients in state and federal trial courts and state and federal courts of appeal. He has also represented clients in single and multi-panel arbitration proceedings. In addition to litigation and arbitration, David has also been involved in negotiation and preparation of contracts involving significant transactions in the United States and abroad. David's litigation and arbitration experience includes contract disputes, construction claims, commercial and business torts, employment law, general negligence and professional liability. -Represented oil and gas exploration company in successful defense of breach of contract claim. -Represented real estate developer defending fraud, negligent misrepresentation and breach of contract claims. Jury returned a zero verdict for developer. -Represented insurance agency in arbitration proceeding to obtain damages and a permanent injunction against former officers of agency. -Represented EPC Contractor in arbitration of disputes arising out of the design and construction of an oil processing plant; Obtained a $6,959,372.83 Arbitration Award in favor of client. -Represented general contractor in defending breach of contract and negligent construction claims. -Represented a pipeline contractor in defense of claims of damage to property during construction of pipeline. After discovery, all lawsuits settled for less than defense costs. -Represented an architect in defense of a breach of contract claim. Obtained a judgment notwithstanding the jury verdict in favor of client. -Represented Texas corporation in a dissenting shareholder lawsuit in a trial to the bench; favorable judgment was affirmed on appeal. 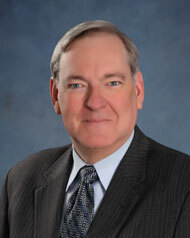 David Frost has significant litigation experience in a broad range of disputes. He has first chair jury trial experience representing clients in state and federal trial courts, and in arbitration proceedings. David's litigation and arbitration experience includes medical malpractice defense, healthcare facility defense, contract disputes, commercial and business torts, residential and commercial construction claims, mechanics and materialman's liens, premises liability, general negligence and professional liability. -Represented building manufacturer in suit filed in Smith County against general contractor and property owner for breach of contract and to foreclose mechanics and materialman's lien. Obtained money judgment and order foreclosing mechanics and materialman's lien. -Represented an infectious disease physician in medical malpractice lawsuit against allegations of failure to timely diagnose and properly treat mycobacterium infection of knee following knee replacement surgery. A jury trial in the U.S. District Court for the Eastern District of Texas resulted in a no liability verdict in favor of the defendant physician. -Defended building manufacturer in Dallas County lawsuit against claims of negligent design and construction of a private prison facility. After filing a motion for summary judgment, a favorable settlement for nuisance value was obtained. -Defended nursing and rehabilitation facility in Gregg County against claims of wrongful death related to death of young brain damaged resident. -Defended nursing home in Cass County lawsuit against claims of negligence related to injuries sustained by resident after fall. -Represented residential homebuilder in Smith County against claims of design and construction defects. -Have filed numerous mechanics and materialman's liens for construction contractors and have successfully recovered for clients outstanding balances through negotiations with property owners and general contractors. Vance L. Metcalf has significant experience in general civil litigation, real estate, estate planning, and probate matters. 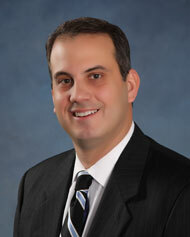 He has represented clients in both state and federal courts. He has represented numerous real estate professionals with regard to administrative complaints and litigation, including real estate brokers and agents, appraisers, title companies, and home inspectors. -Texas Association of Defense Counsel.